GLADSTONE will be the home of Queensland's premiere film festival if Broke film producer Luke Graham has his way. The first year of the Capricorn Film Festival will showcase central Queensland's filmmaking talent on September 19 at the Gladstone Marina. 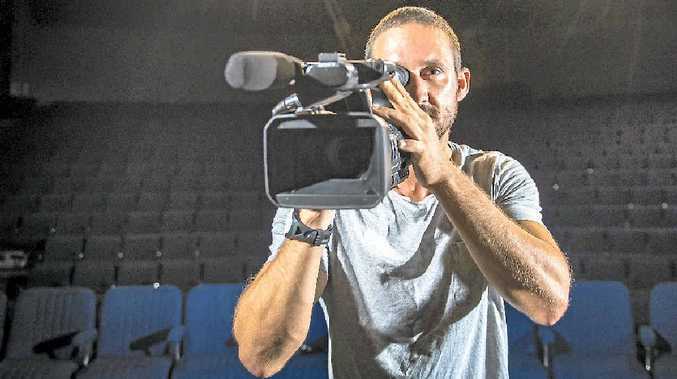 Mr Graham created the event because of the enthusiasm around film that he saw when he was filming his movie 'Broke" in Gladstone and Rockhampton last year. "There are a lot of people passionate about their arts but no one has an education in filmmaking," he said. "That's why we are having film workshops for schools and two free community workshops for anyone. "The intention is to be a hub for central Queensland filmmaking." Mr Graham said he chose the Gladstone Marina because it was an ideal setting for people to sit outside and watch local films. The community workshops will be held on June 27 and July 25.
including equipment and money. "The main prize winner gets $2,000 in cash because filmmakers are always in need of money," he said. "There is also a nationally accredited or film institution short course for the CQ Raising Talent Category." Entries close on August 21, capricornfilmfestival.org.